You may not know the name but you know the place! 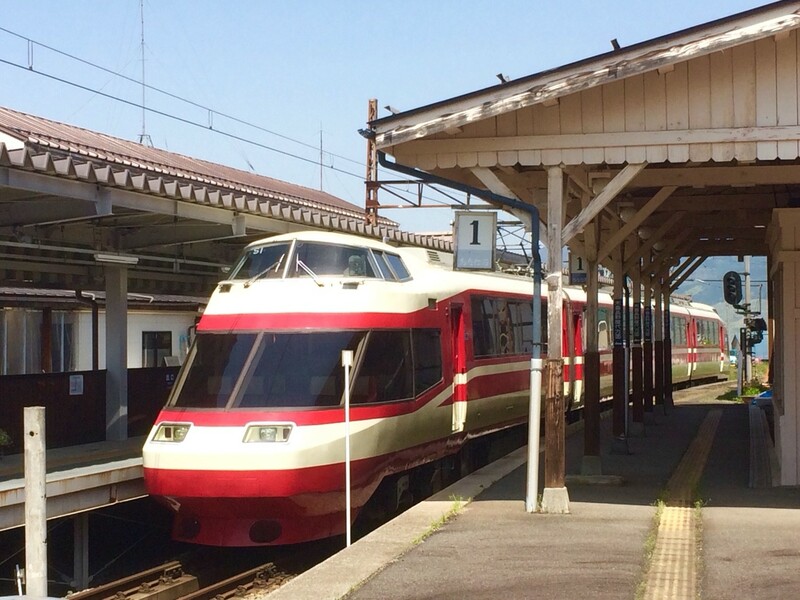 Yudanaka Onsen (and the unsurprisingly named Yudanaka Station) is the final stop on the Nagano Dentetsu train and the nearest station to the Snow Monkey Park. 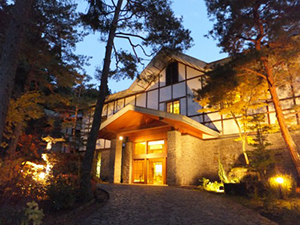 Many visitors come through Yudanaka en route to visiting the monkeys, often basing themselves in town at one of its many ryokans (guesthouses) and other accommodation. 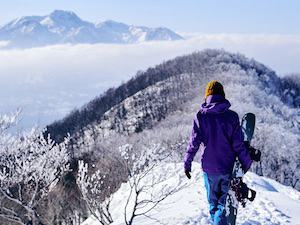 Well-known for its onsen (hot springs), Yudanaka is a very popular destination in winter as both Japanese and international visitors head to the region to visit the snow monkeys and head to nearby ski resorts including Shiga Kogen and Nozawa Onsen. 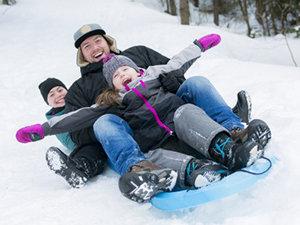 Outside of winter, the region is an equally attractive destination with numerous activities to pursue in the warmer months of spring and in particular, summer. 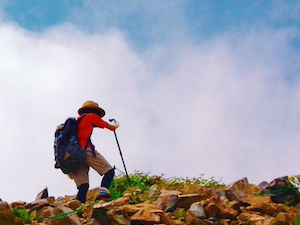 As the heat and humidity rise, many Japanese come to Nagano to escape the uncomfortably hot and sticky cities of the coast. 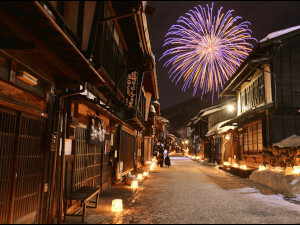 If you are visiting Nagano this summer, the Yudanaka Summer Festival is a fun and authentically local event that brings the community together in a month-long calendar of events. 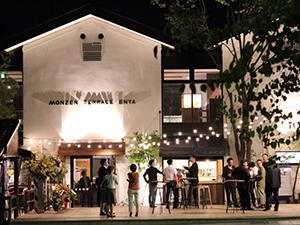 Through late-July to mid-August, Yudanaka comes to life with nightly activities including ‘taiko’ (traditional drums) performances by school children, local bands, lotteries, street vendors and games, and karaoke – sung enthusiastically (the good, the bad, and the ugly) by festival-goers. 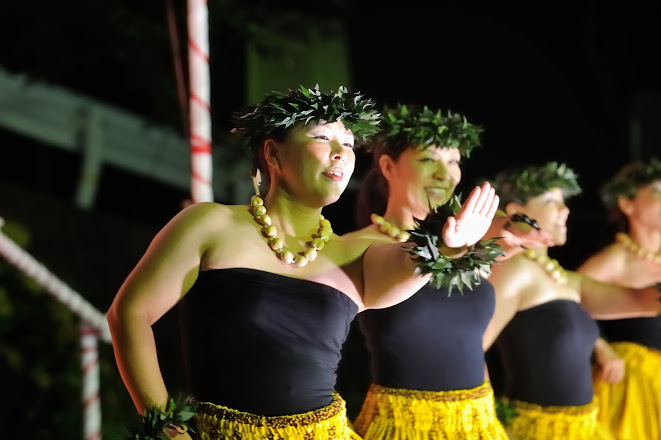 No Japanese summer festival is complete without dancing and locals take the most enjoyment from traditional dances including ‘bon-odori’. The steps are simple so don’t worry if you don’t know them, someone will teach you. These festivals play an important role in Japanese communities, bringing people together to talk, laugh, drink, eat, and dance. 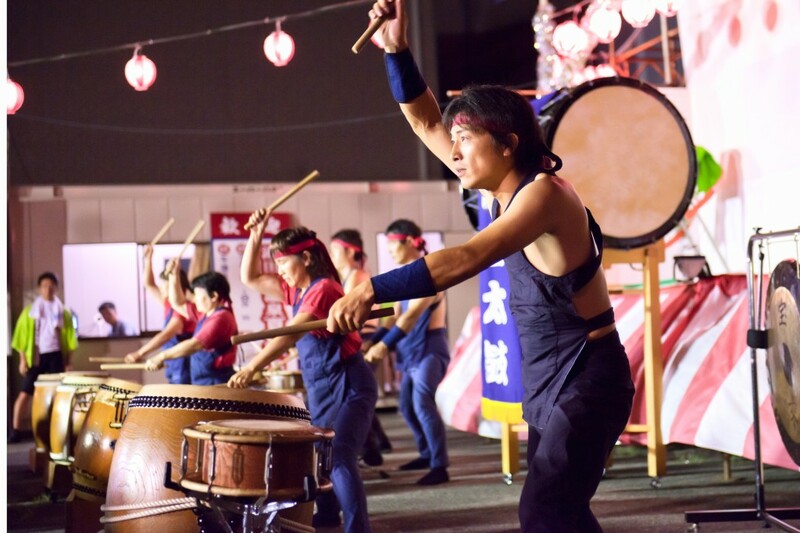 While the huge festivals of cities such as Tokyo, Osaka, and Kyoto are extremely popular and famous, drawing tens of thousands of visitors, it is the local community festivals that best reflect what Japan is about – strong communities who know how to have fun! Locals always appreciate visitors who take the time to come to visit their town and you are sure to strike-up conversations (particularly with the local kids) at the many festival food, drink and game stands that pop-up in town each evening. 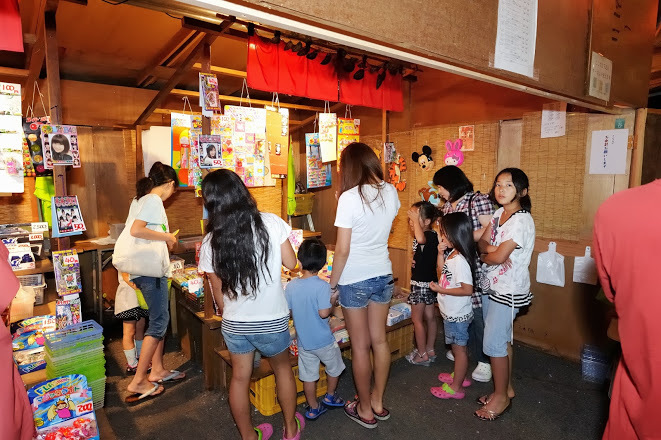 Make sure you try the traditional festival snacks of fried soba noodles or shaved ice topped with different flavors. And of course, a cold beer or local apple juice! Yudanaka’s GOEN restaurant will be operating a beer terrace throughout the festival. 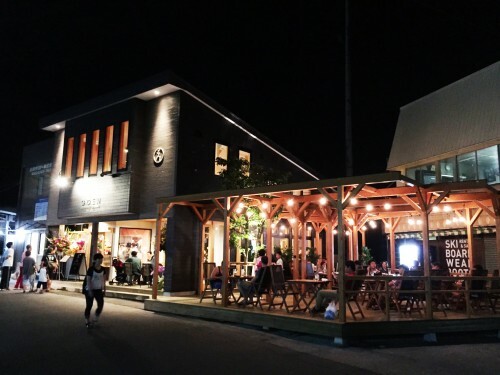 Conveniently located opposite the station, there’s no better place to enjoy a range of craft beers, local sake, and a range of food and snacks that complement your drinks. 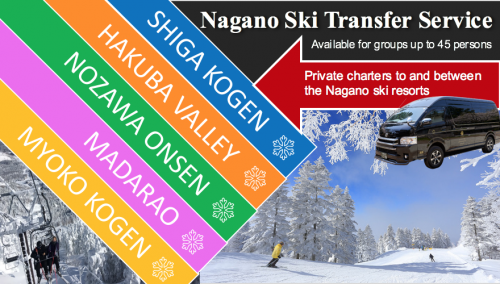 Yudanaka is easily accessible from JR Nagano Station via the Nagano Dentetsu (Nagaden) train line. 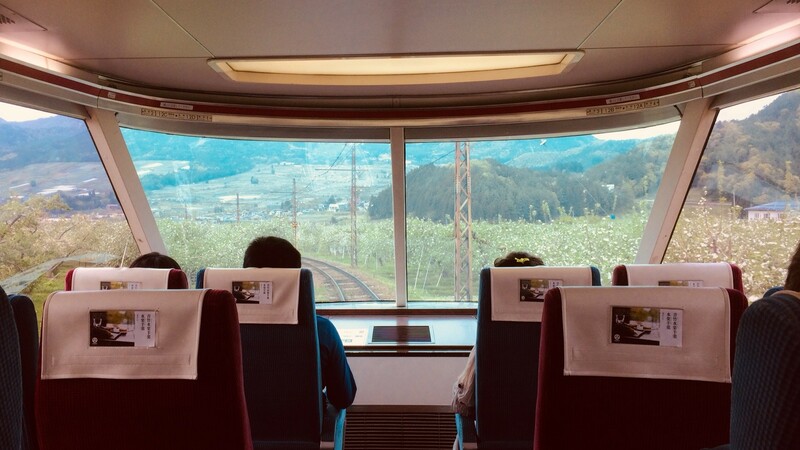 We have previously featured several articles about using Nagaden’s services to and from the Yudanaka and the Snow Monkey Park area, including it’s famous Yukemuri-class train (as pictured below). Yudanaka Summer Festival runs every day (excluding Mondays) from July 28th to August 19th 2018, with official events beginning @ 19:30.